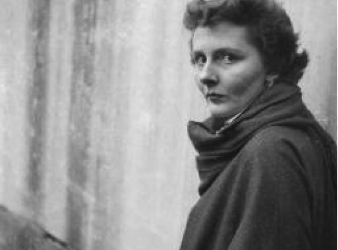 Mary Lee Settle’s World War II experiences lead to her life as a novelist. The notion of place is paramount in Mary Lee Settle’s writing. A metaphoric battle in America’s coming of age ~ psychic independence from Britain’s lingering shroud at the turn of the 20th century. My husband gave me my first horse in the early 1980s and I pursued foxhunting much like a hound puppy follows his first quarry—with sloppy but keen, even naïve, enthusiasm. Foxhunting, besides being politically incorrect and so two-centuries-ago is spectacularly dangerous, fascinating from an animal-behaviorist point of view, remarkable from a historical point-of-view, filled with literary appeal and always, in every way, absolutely addictive. 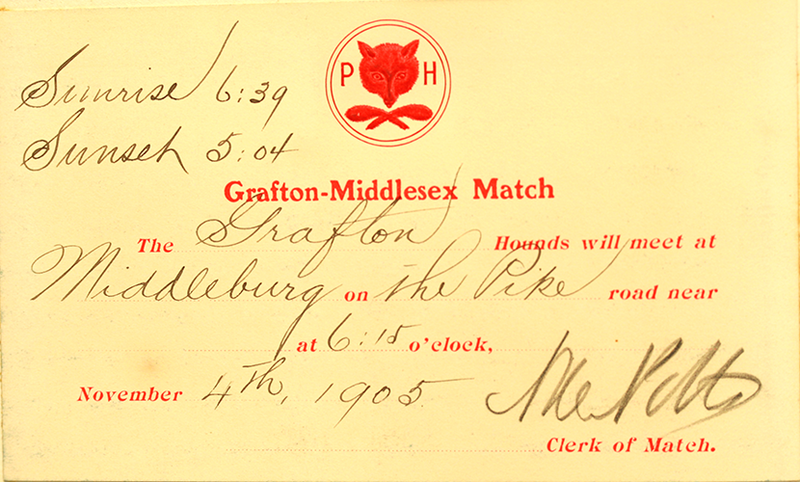 So it was no surprise that, after earning an MFA from Bennington College in 2012, I fell in love with the story of The Great Hound Match of 1905 in the stacks of the National Sporting Library and Museum in Middleburg, VA, where I was a John H. Daniels Fellow. On our farm in the northern Shenandoah Valley of Virginia we have raised three boys, plus Connemara ponies, donkeys, cats who refuse to catch mice, hundreds of baby pheasants, pigs and a few steers. Each summer we “walk” foxhound puppies for the Blue Ridge Hunt. I am hard at work on Mary Lee Settle’s (1918-2005) literary biography. Settle was a native of my hometown, Charleston, WV. During her long literary career she published fourteen novels, four memoirs, award winning short stories, and dozens of essays. 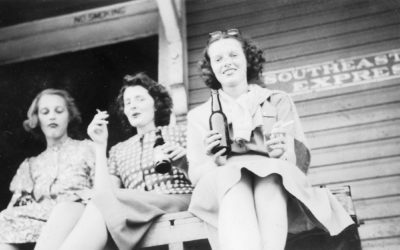 WWII WAAF, Vietnam War protestor, intrepid traveler, insatiable reader, incessant writer and wicked wit with a legendary, occasionally volcanic, temperament, her crowning achievement is The Beulah Quintet, a five-novel history of West Virginia’s settlement and industrialization. 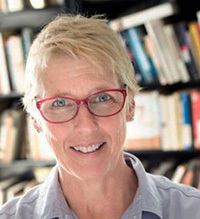 In 1978 Settle won The National Book Award for Blood Tie. In 1981 she co-founded the PEN/Faulkner Award for Fiction. “Martha is a gifted storyteller.” Brian Morton, author of the novels Starting Out in the Evening and Florence Gordon. “…a glimpse into the heart of a hippophile.” Ben Anastas, author of The Underachiever’s Diary, a novel, and Too Good To Be True a memoir. “Martha is one of those writers whose prose feels effortless…” Dinah Lenney, author of The Object Parade and Bigger Than Life. “This book is brilliant.” Norm Fine, author of “Foxhunting Life, With Hors and Hound,” a blog, and Foxhunting Adventures: Chasing the Story. ∗2012, 2014, and 2016 John H. Daniels Fellow at the National Sporting Library and Museum ∗2016 Library of Virginia People’s Choice Literary Award Finalist for Great Hound Match of 1905∗Guest panelist, 2016 Virginia Festival of the Book in Charlottesville: ∗Guest panelist, 39th Appalachian Studies Association festival, Shepherd College, Shepherdstown, WV. ∗Keynote Speaker, 2016 Virginia Foxhound Association luncheon, Warrenton, VA.
All of his best hunting friends had come along for the sport bringing with them strings of horses, tack and chests of necessities, including food and wine of course, for who knew what was available in the backwoods of Virginia? First Philly and then Washington, then deeper and deeper into the countryside behind a decrepit steam engine belching soot and stopping every five miles until it reached The Plains, a crossroads with nothing but the station and a post office, combined. A crowd of Virginians, most very friendly, but some practically jeering, had come to see the Yankees. 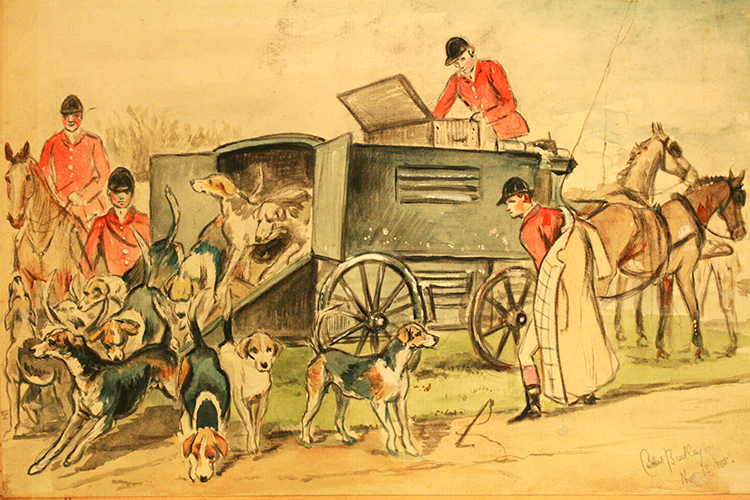 Two strangers came to two towns in Virginia bringing with them their separate entourages—private train loads of friends and their horses, trunks of tack, boots, formal and informal clothing, food and wine, servants and of course their hound dogs. 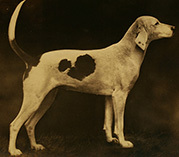 Alexander Henry Higginson of South Lincoln and Harry Worcester Smith of Grafton, Massachusetts had determined that the Loudoun Valley in Virginia’s pastoral Piedmont was the best place to prove the relative worth of their chosen foxhounds. The hounds that Mr. Higginson so adamantly championed were bred in the heart of England’s Midlands. 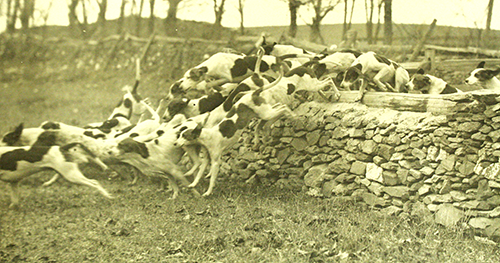 Smith had bred his own hounds from stock he had purchased in Virginia and Kentucky. 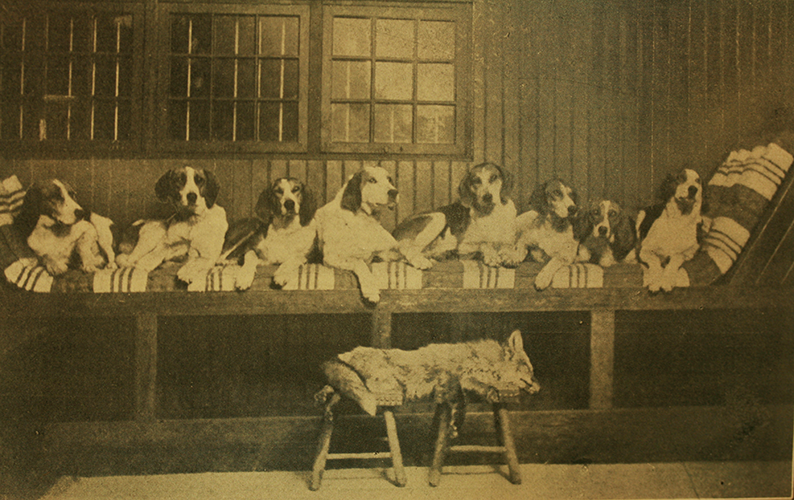 Where Smith’s hounds were prized for their unmistakable musical cry, individuality and hard-driving attitude, with or without their pack mates, English hounds were known for their pliability, their obedience and their willingness to stay together and hunt as a pack. For Higginson, the rub was Smith’s lack of respect for Tradition and the foxhound’s English heritage. 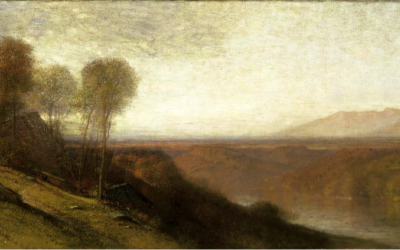 They hunted sunrise to sundown those first two weeks of November, 1905. The weather was warm and dry the first week, but a rising scent in the second week’s frosty mornings sent hounds screaming across the Piedmont Hunt’s territory throughout the Goose Creek and Beaverdam Creek watersheds north and south of the Ashby Gap Turnpike. 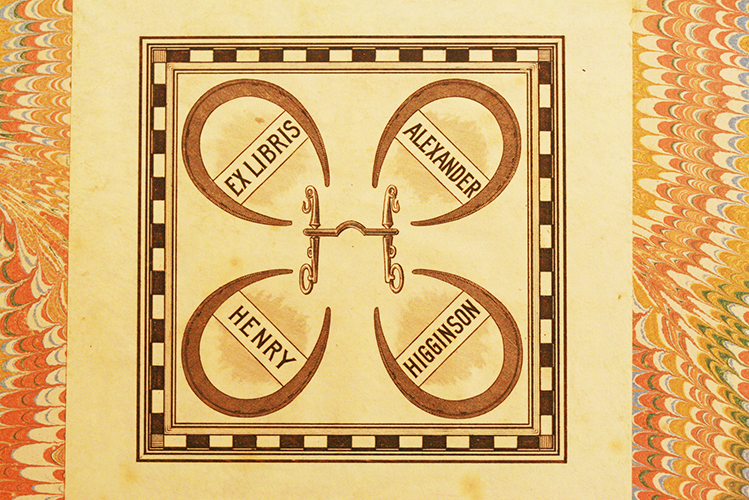 Alexander Henry Higginson was a Harvard man, a Brahmin of Puritan and Unitarian stock. He tried science, but put it aside; thought of business, but no. He was, above all else, exclusively, a foxhunter. 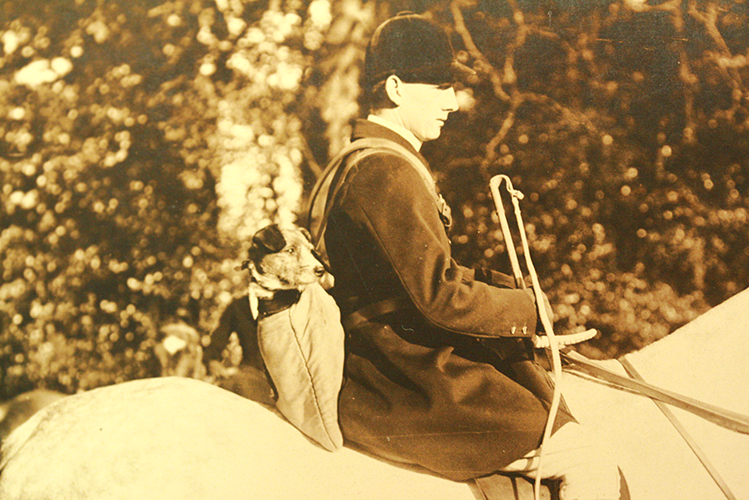 Beginning in his late teens, foxhunting became his passion, his avocation, his vocation. 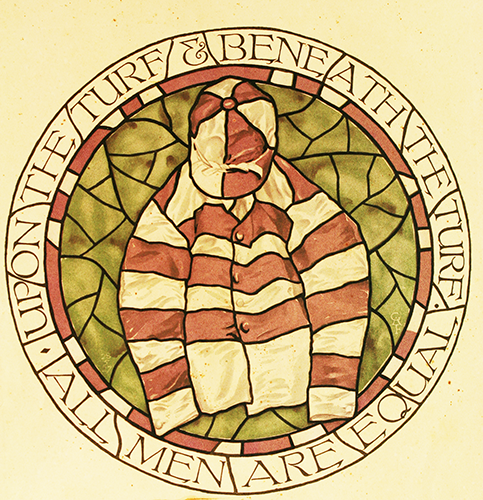 ‘We all have hobbies,’ he writes in the Preface to an unpublished manuscript, ‘Mine is foxhunting. I think of it, dream of it, talk of it all the time.’ He took it on, not only as a gentleman’s pastime, but as a mantle, an identity, a persona. 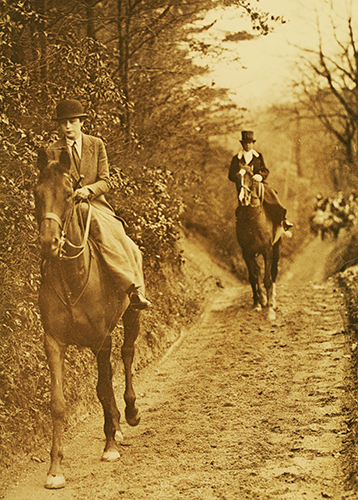 He was the gentleman foxhunter. 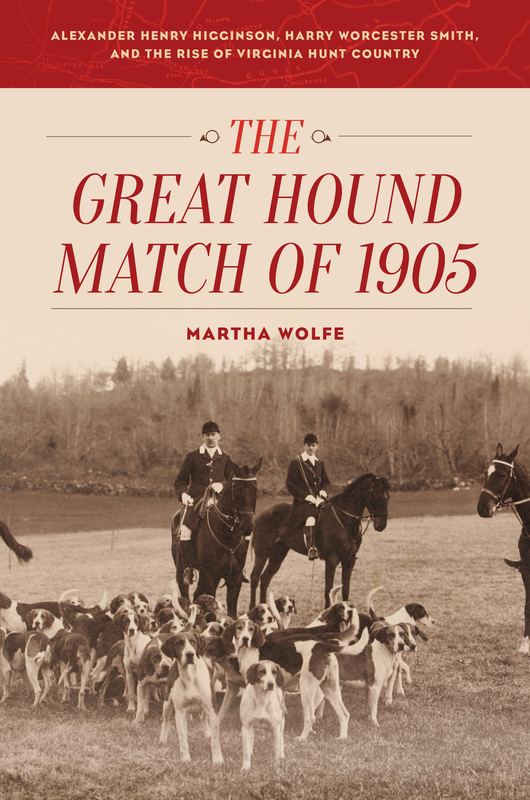 “…it was not until 1898 that I had a chance of seeing a pack of Virginia fox-killing hounds,” writes Harry Worcester Smith in his unpublished autobiography. 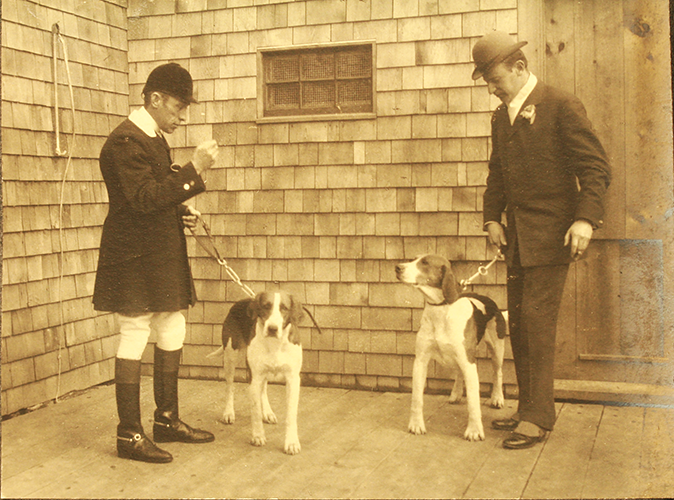 As the guest of H. Rozier Dulany, who would sponsor The Match six years later, Smith got a taste of the country he came to love and the hounds he spent the rest of his life promoting. From Day One the women in The Match were phenomenal. Allen Potts, whose wife, the former Gertrude Rives, was Master and huntsman—the only woman huntsman in the US at the time—of The Castle Hill Hounds outside Richmond, Virginia, included in his daily wires to the Times-Dispatch the progress of the eight or ten women who rode in The Match every day. Beginning with Terry Dulany’s sensational jump the first day of The Match on her horse ‘Welbourne Bachelor,’ Potts was clearly in awe of the Amazons riding to hounds that November. God help me, I always have five or six books going at once. I’m embarking on Mary Lee Settle’s huge oeuvre, beginning with her Beulah Quintet, which includes Prisons, O Beulah Land, Know Nothing, The Scape Goat and The Killing Ground. In the mean time I’m reading her first memoir, Addie; A Memoir, and her last, Learning To Fly: A Writer’s Memoir, published posthumously. Biographies: Christoph Irmscher’s Louis Agassiz: Creator of American Science (Agassiz was Alexander Henry Higginson’s father-in-law, about whom I wrote in The Great Hound Match of 1905 and The Life of Charlotte Brontë by Elizabeth Gaskell. Also and including: The Empire of Cotton by Sven Beckert; How to Live: Or A Life of Montaigne in One Question and Twenty Attempts at an Answer by Sarah Bakewell. And I’m listening to Kim Basinger read The Awakening, by Kate Chopin.